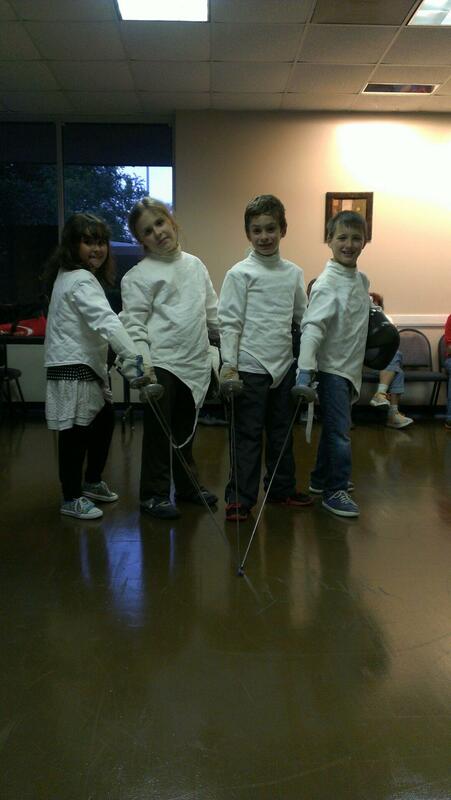 The Clear Lake Fencing Club has undergone several changes in the last 2 years or so. To cut to the chase, we now meet in one, single location: the Clear Lake City Community Association’s Recreation & Wellness Center, 16511 Diana Lane, Houston, TX, 77062 (at a diagonal across the intersection from the library. Sadly, with the departure of Curtis Potterveld and Karen Burnham for Colorado, we lost our Seabrook citizens, so we no longer have access to the Seabrook Community House for Wednesday classes. You can sign up for classes on the Clear Lake City Community Association website. We will have two open houses at the Rec Center. The first will be Tuesday 8/6 and one a week later on 8/13, each running 6:00 pm to 8:00 pm. Open fencing will be available during the open houses. We will keep you posted as we adjust to our new schedule and locations. We hope to see you soon in either Clear Lake or Seabrook! Due to the severe weather expected tonight, the Junior Comp and Recreational classes have been rescheduled to Thursday (Jan 10) at their usual times. We’d like to welcome anyone who’s ever been curious about fencing to our Open House, on Saturday Sept 1. From 11am from 12:30pm, Clear Lake Fencing Club will be free to everyone. There will be a Q&A session with coaches, a short trial class, and demonstrations of all three weapons (foil, epee, and saber).